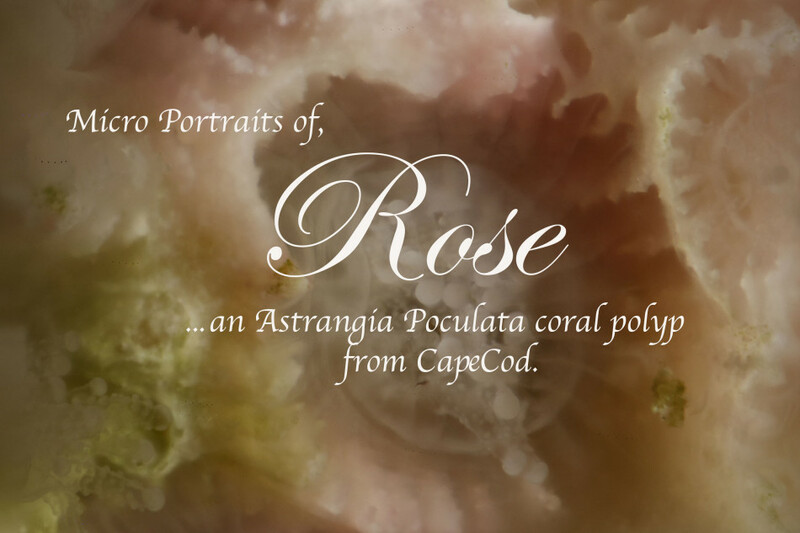 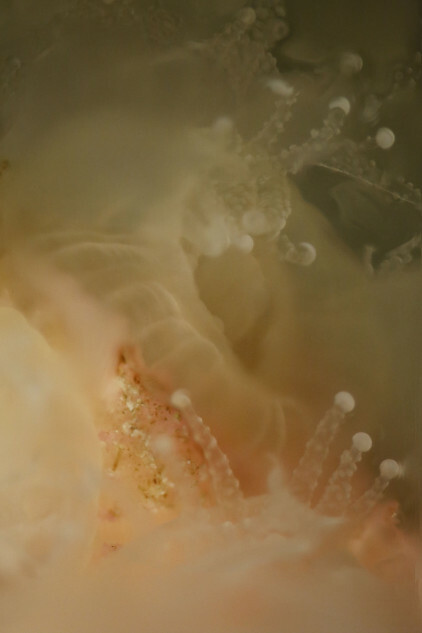 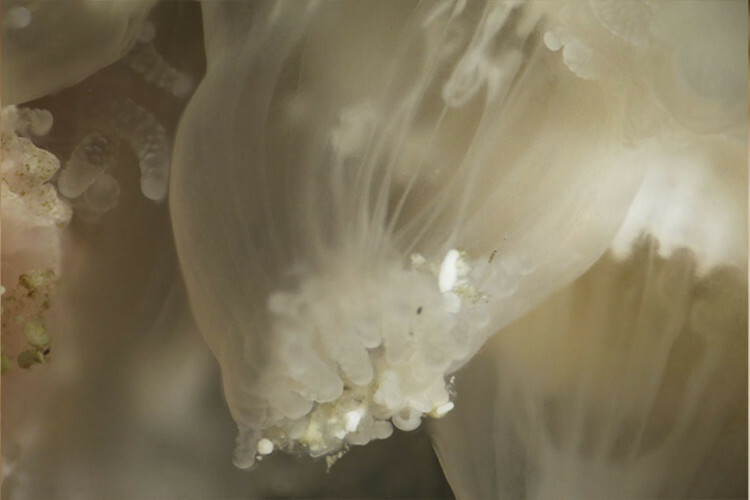 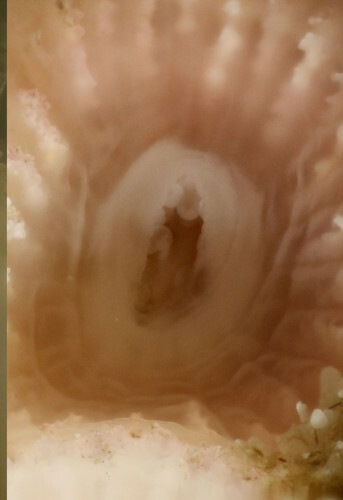 Description: The muse for “Rose” — a Portrait series of extreme close ups of the coral Astrangia poculata — comes from Cape Cod, Massachusetts and is typical of a coral polyp that inhabits the mid-Atlantic. 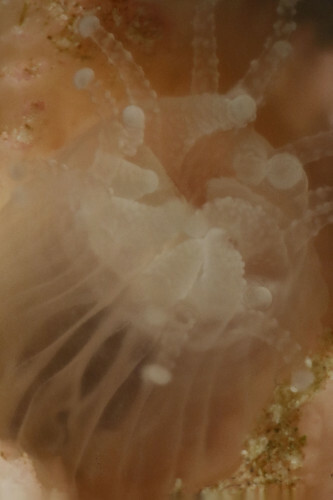 Considered a coral “of least concern” it sprouts like dandelions at 20 feet and below. 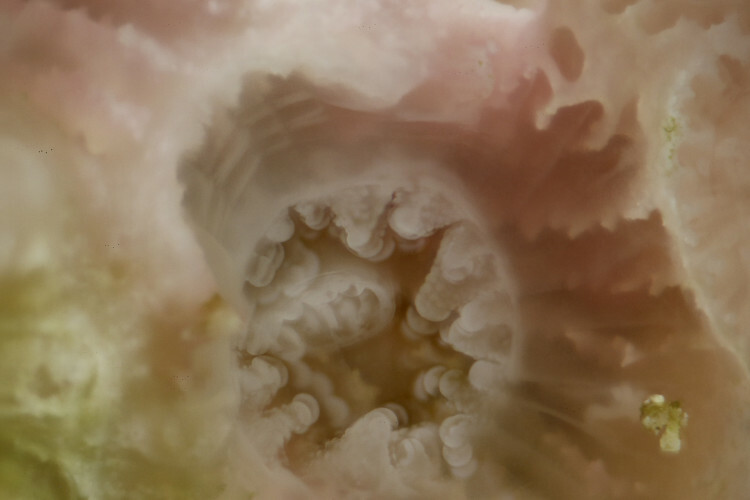 The Astrangia poculata is considered a deep water coral and thrives at a time when tropical corals are dying at a rapid rate worldwide. 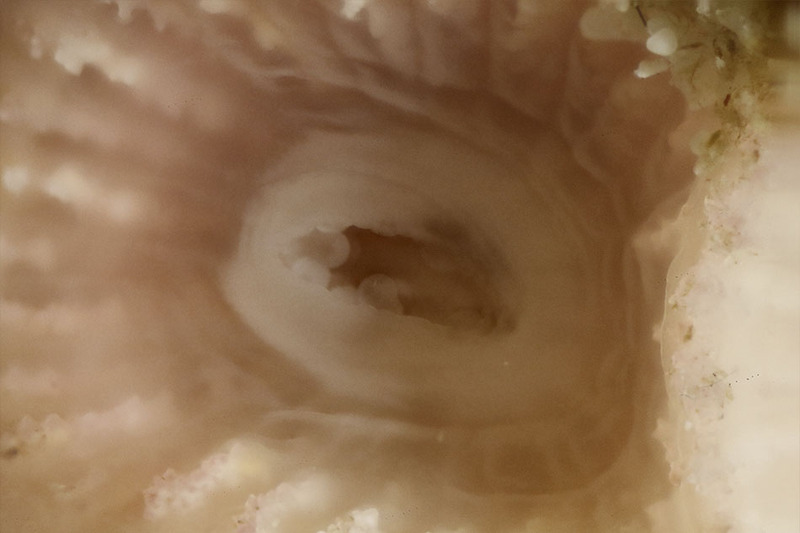 Resilient in non coral building cluster colonies, they seem according to each individual cluster to have acquired the diversifying adaptation of having the ability to either host Xooxanthallae or not unlike their tropical cousins that are all dependent on Xooxanthallae the symbiotic algae that inhabits coral issue and powers the animal making up coral about 90% of its energy intake. 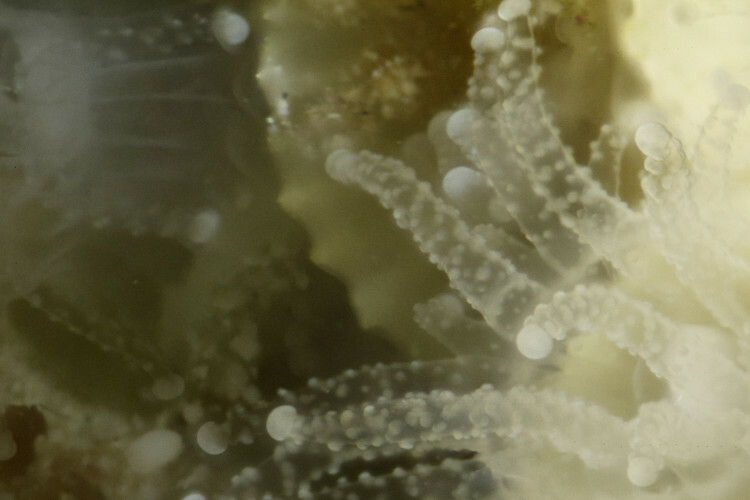 There are clusters with no Xooxanthallae surviving solely on plankton alone. Rose is one of those colonies of omnifarious plankton guzzling coral hence the soft translucent mineral enriched romantic micro portraits.